Shraddha Kapoor and Tiger Shroff are all set to collaborate for the upcoming project of Sajid Nadiadwala, Baaghi 3 which is set to roll in the theatres on March 6, 2010. The sequel of the blockbuster hit film Baghi has made the fans super excited especially those who enjoy the chemistry between the duo. After the box-office success of Baaghi, Shraddha Kapoor will again collaborate with action-hero Tiger Shroff for the third sequel of the action film. Earlier, the makers of Baghi had revealed about Baaghi 3 even before the release of Baaghi 2. Talking about the film, a source said that like previous films of the sequel Sajid and director Ahmed Khan have planned to take Baghi 3 also to the next level in terms of scale, action and all other aspects. 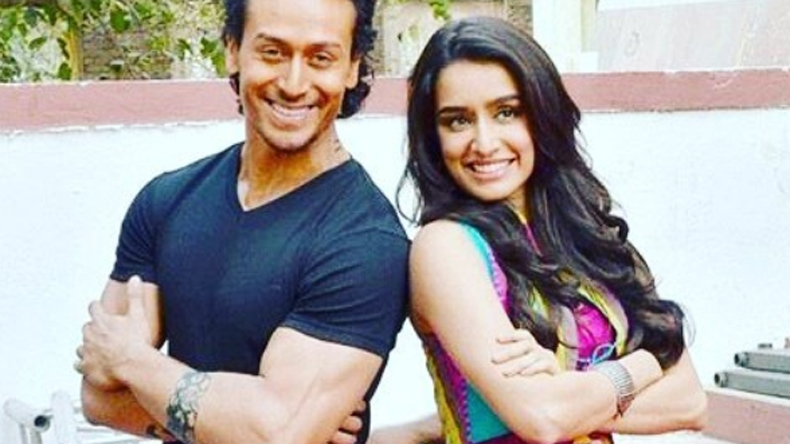 Meanwhile, Shraddha shared that, she was super excited to be back with the Baaghi family. She also said that she had a memorable time being a part of Baaghi and this would be her third film with Sajid Nadiadwala, second with Tiger and first with Ahmed Khan. She disclosed that the script was amazing and she was excited to be a part of the movie. Producer of the film, Nadiadwala also share his happiness for roping in Shraddha for the project. The duo was highly appreciated and their pair was loved by the audience in the previous films. The film is slated to hit the screens on March 6, 2020. Furthermore, Shroff will be reportedly seen in the Student Of The Year 2 alongside the debutants Ananya Pandey and Tara Sutaria. The film is directed by Punit Malhotra. He has previously directed films like I Hate Love Story and Gori Tere Pyaar Mein. The Student Of The Year 2 is set to hit the screens on May 10, 2019. Meanwhile, Shraddha Kapoor is shooting for the film Chhichhore opposite Sushant Singh Rajput which is directed by Nitesh Tiwari.